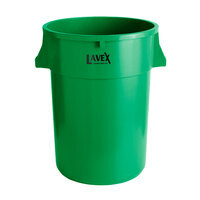 Because of their large capacities and heavy-duty plastic construction, all of our commercial recycle trash cans are ideally suited for use in almost any environment. 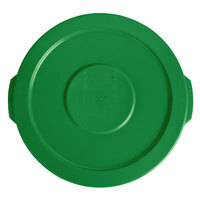 With a variety of shapes and lid options, these cans are perfect for anything from outdoor use at large-scale events to back-of-house use in kitchens. They are also great for use as part of a janitor’s cart, so your staff can empty smaller recycling wastebaskets into a large can. 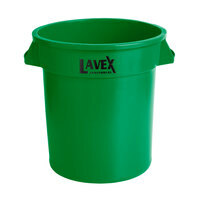 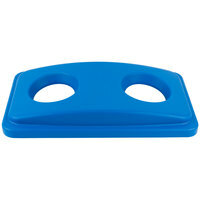 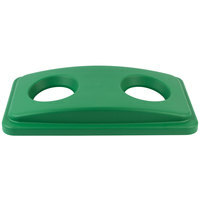 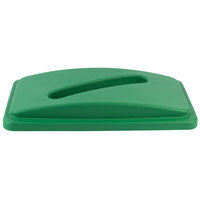 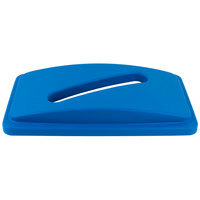 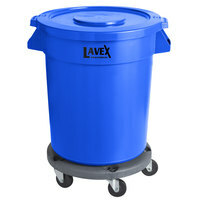 Also make sure to check out other great items from Lavex Janitorial, Carlisle, Continental, IRP and Rubbermaid. 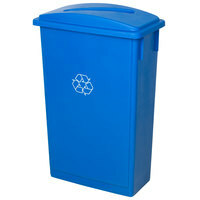 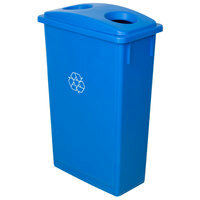 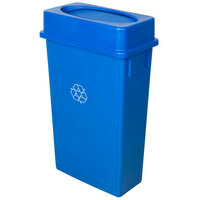 We offer several models of recycle trash cans in colors that range from bright green, blue, and red, to more understated gray, black, or white, all of which feature the signature triangle recycle logo prominently on the side. 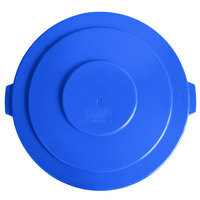 Most cans come with compatible lids that range from classic open-top lids to more stylish pyramid designs. 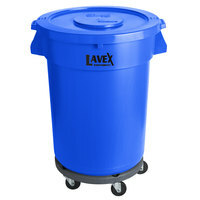 No matter what the environment or function, these cans can handle any job! 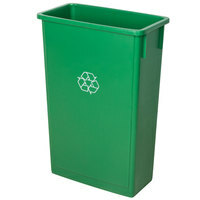 Be sure to check out other bulk trash and recycle options like our outdoor trash cans, kitchen wastebaskets, and commercial trash cans. 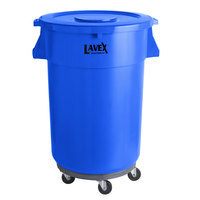 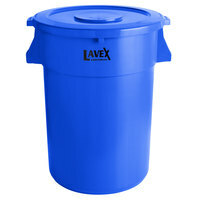 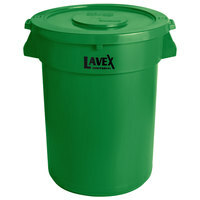 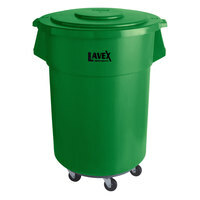 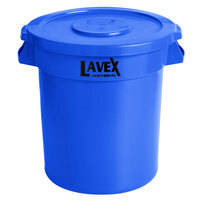 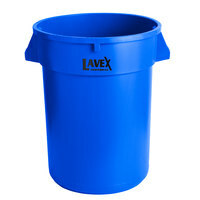 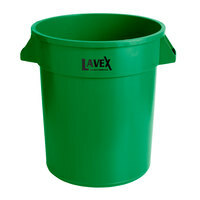 If you're wondering where to buy lavex janitorial commercial recycle trash cans, we have a large selection of lavex janitorial commercial recycle trash cans for sale at the lowest prices.